Kevin has been selling real estate for 10 years. A consistent award winner, Kevin is currently a member of Royal LePage Director's Platinum Club, awarded to the company's top 5% of agents across Canada. He has worked with everyone from first timers, upgraders, downsizers to savvy and seasoned real estate investors. 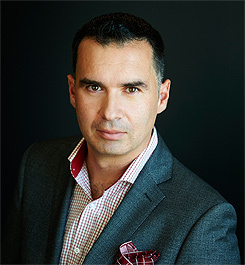 He specializes in downtown Toronto’s central western neighbourhoods including: Queen West, Little Italy, The Annex, Beaconsfield Village, Dufferin Grove, Christie Pits and more (MLS districts C1. C2, W1 & W2). See what kevin’s clients have to say. Get in touch with Kevin today about buying or selling a home.